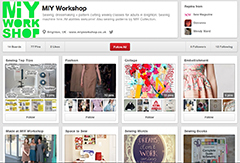 ← Should I buy an overlocker? 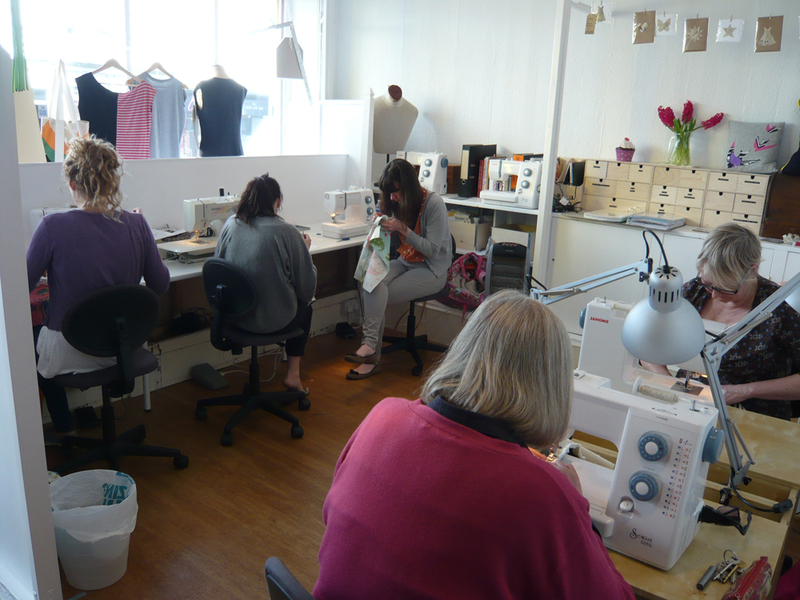 The weather was gorgeous and today was the first Cushion Workshop at MIY Workshop. I could have filled it twice over with the people that wanted to do it and today’s results were impressive, so I’ll definitely be running it again. Date tbc between July and December. So, it all starts with some accurate measuring and cutting of squares and rectangles…harder than you might think! Then you get to enjoy all your hard work! 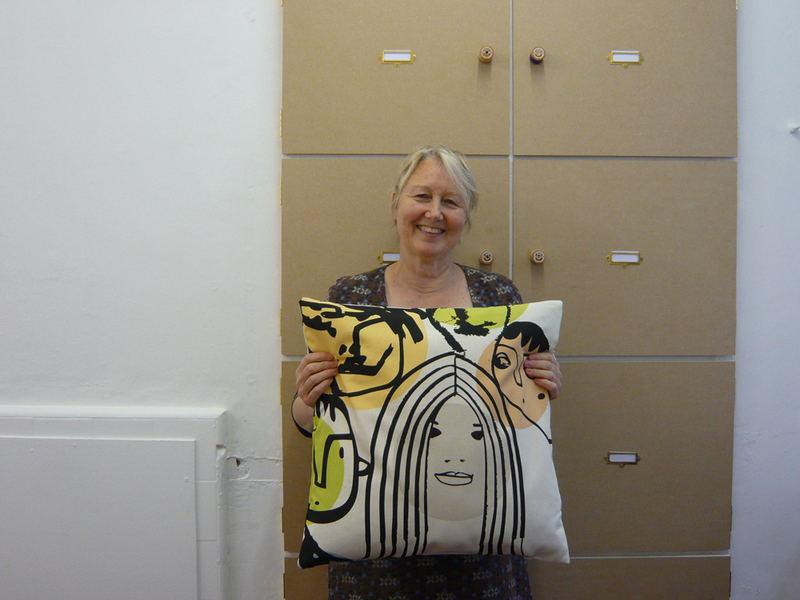 Here’s Ann impressed with her newly discovered zip sewing skills and her cushion made from some great Ikea fabric. 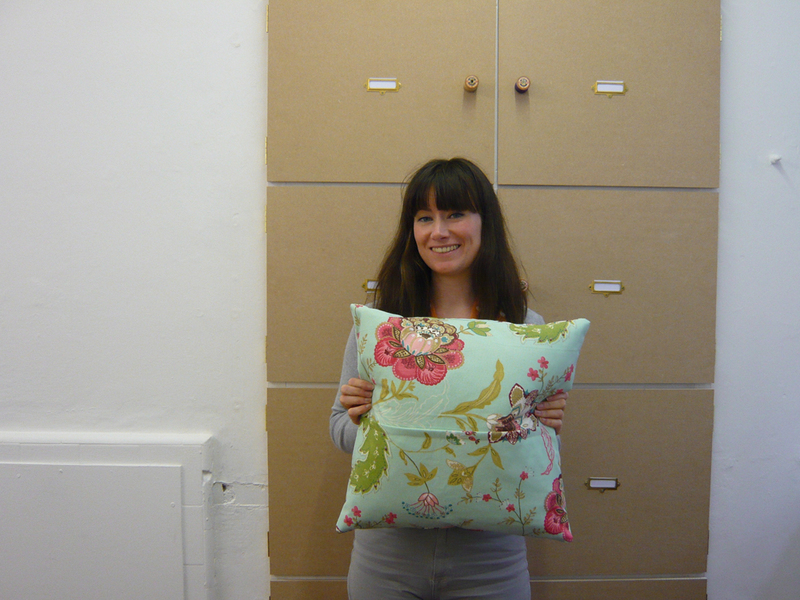 Claire has a pile of fabric treasures found on Ebay to work through and this is an excellent start – a beautifully sewn cushion cover with a lapped zip across the back. 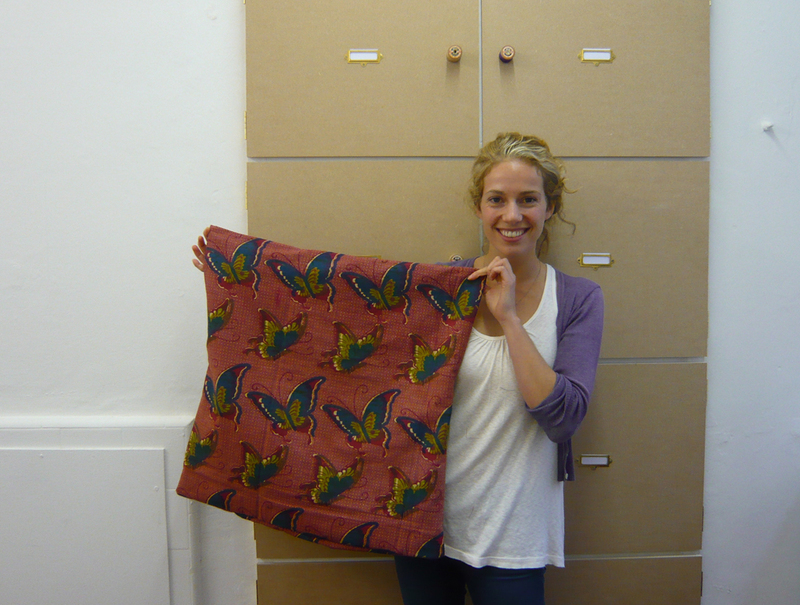 Kate used some lovely African print fabric and was very proud of her buttonholes across the back of her cushion! 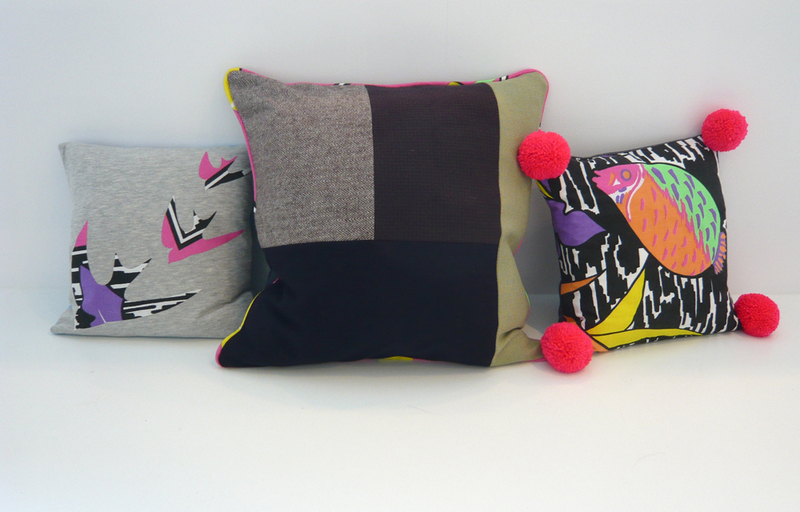 And last, my original samples – not your average, ordinary cushions! Marie and Auder were soooo close to finishing too. Auder was turning her mum’s tapestries into cushion covers – a practical way to be able to use and admire her mum’s handiwork. 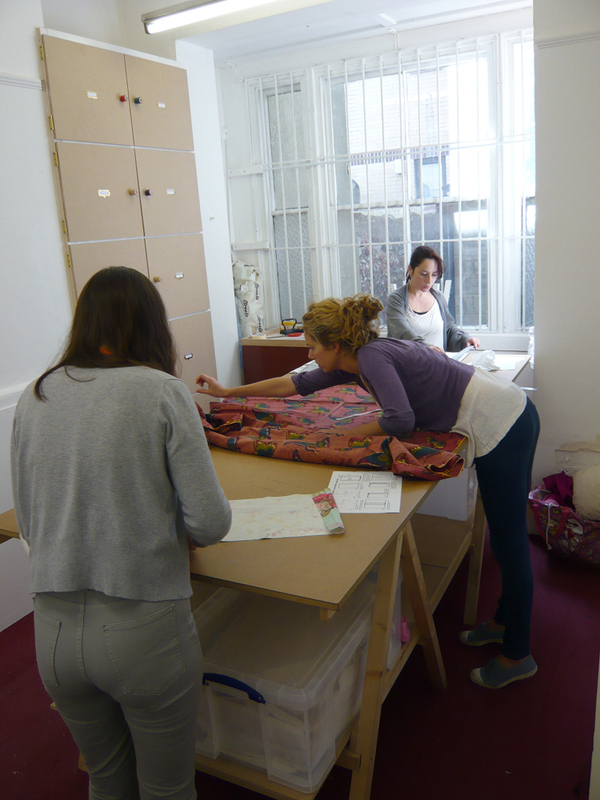 Marie began a zebra print cushion production line!! I’m looking forward to seeing pictures of the fuschia pink piped zebra cushions once they’re finished! Someone once described cushions to me as the equivalent of adding lipstick to a room! I love that. This entry was posted in Full Day Classes, MIY Workshop, Student work and tagged cool cushions, cushions, MIY Workshop, sunday workshops, Wendy Ward. Bookmark the permalink.